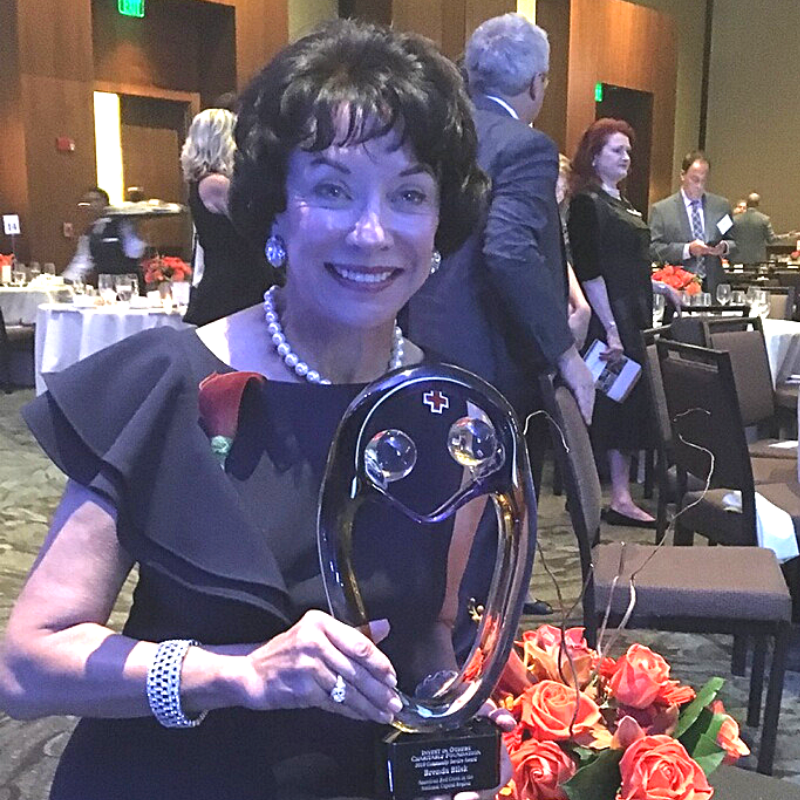 On Thursday, September 27, Brenda Blisk, Founder and CEO of Blisk Financial Group in McLean, VA was honored at the Invest in Others (IIO) Gala and won the National Community Service Award. As one of three national finalists for the Community Service Award as part of the twelfth annual Invest in Others Awards, Blisk was honored for her work with the American Red Cross in the National Capital Region. In the past, winners receive $20,000 to the charity of their choice, and because of the amount of money raised by IIO, the donation was doubled. This equated to a $40,000 donation to the Red Cross in Brenda’s honor. VIEW BRENDA’S FINALIST VIDEO..and grab a kleenex! Brenda Blisk is the Chairman and Founder of volunteer-run fundraiser called “In the Bag” (ITB), a designer handbag auction that benefits the American Red Cross in the National Capital Region. Since 2010, Brenda has provided visionary leadership for all aspects of ITB, from recruiting event volunteers to forming a giving circle for prominent, high-level donors. Over the past nine years, Brenda has initiated fundraising to our chapter by directly and indirectly contributing $1,115,000 to the Red Cross. Brenda’s will to create a sustainable fundraiser that appealed to working women has been so successful that other chapters have implemented similar fundraising models. This year’s “In the Bag” event will take place on Friday, November 16 at the McLean Hilton. The event has sold out for the last two years, so buy your tickets today. For more information visit https://inthebagrc.com/.